Partly cloudy. Low 56F. Winds S at 10 to 15 mph.. Partly cloudy. Low 56F. Winds S at 10 to 15 mph. 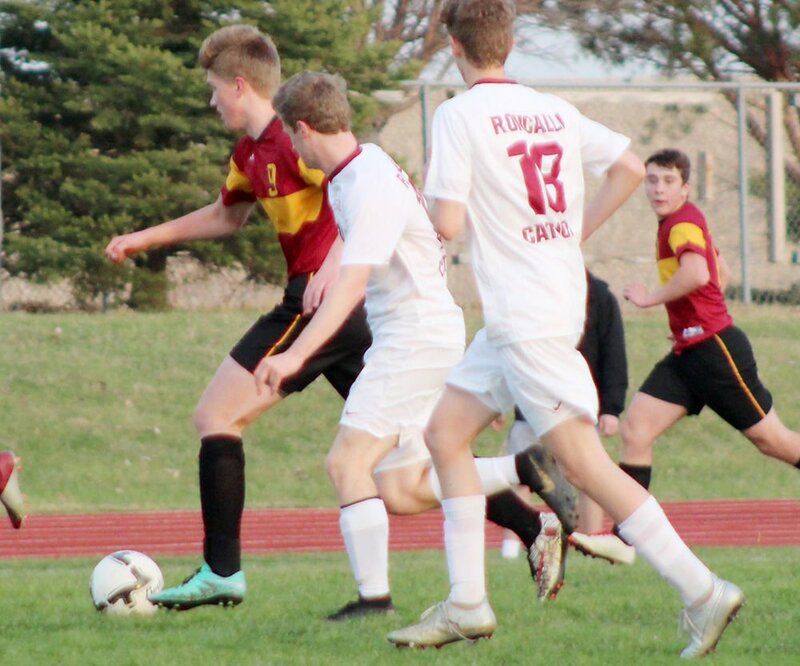 CONESTOGA – Conestoga boys soccer players continued their season this week with games against a trio of area opponents. The Cougars mercy-ruled Clarinda Academy at home Tuesday night. Officials ended action at halftime due to Conestoga leading by at least ten goals. CHS kept the soccer ball on Clarinda Academy’s side of the field for most of the game’s 40 minutes. Fourteen players registered either a goal or assist in the match. Bryson Berg collected two goals and two assists and Buck Welch secured two goals and one assist. Alex Lamoureux and Grant Froistad each scored twice and Mason Jensen pocketed one goal and one assist. Tobias Nolting, Cesar Sandoval, Jacob Curtis, Trace Widler, Braeden Weilage and John Welter all scored one goal. Ben Welch, Caden Simon and James Parriott all added one assist for the team. The Cardinals and Cougars battled Thursday night at Treynor. Conestoga broke a scoreless tie in the second half when Jensen found the back of the net. Treynor responded with three goals to secure the match. Omaha Roncalli traveled to Cougar Stadium Friday night for a matchup in windy conditions. Both teams played more of their passes and shots on the ground to neutralize the gusts as much as possible. Conestoga (1-5) will continue its season Monday against York. The Cougars will travel to York Cornerstone Sports Complex for the 5 p.m. match.